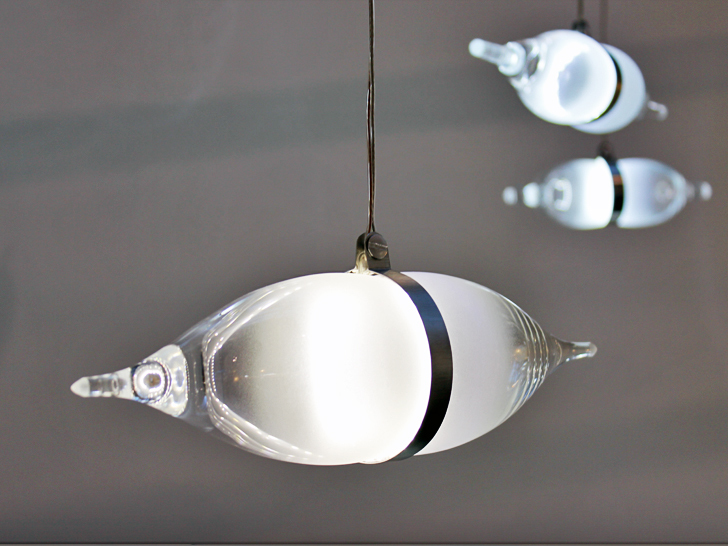 Canadian designer Tat Chao has transformed discarded glass into a heterogeneous collection of recycled BIPOLAR lamps. 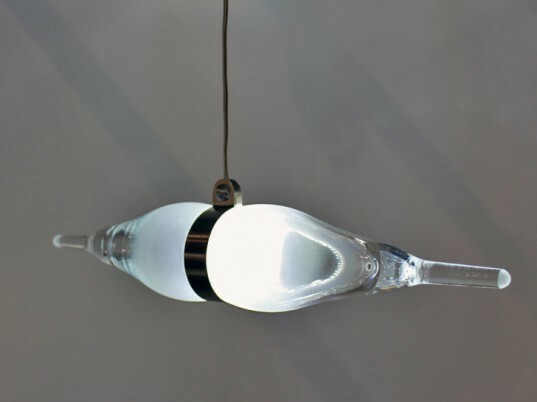 Each lamp is made from a pair of wine glasses or champagne flutes that have had their bases removed. The glassware is collected via donations or second-hand shops before it is meticulously handcrafted in Montreal, Canada. Tat Chao was inspired to create these lamps while making candle-holders for his IN VITRO collection. Each Bipolar Pendant Lamp consists of two wine glasses or champagne flutes held together face to face with an anodized aluminum ring which wraps a strip of LED lights in the middle. The lamps come in diverse shapes, colors and sizes ranging from 6” to 16” in length. Up-cycling is a great step towards sustainability – especially if the result is a great looking contemporary product. In case you are left wondering what happens to the bases of these glasses, they are used to make spinning tops and yo-yos, so nothing is wasted!